makes it easy and fun to learn. It was truly a rewarding experience. this weekend. Fly safe my friend. 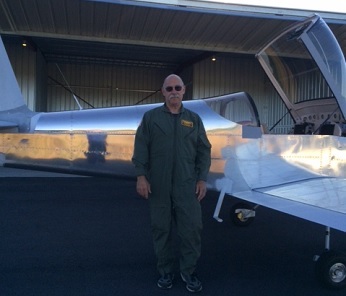 Thank you once again for the very excellent flight training. of much befit and whether it would be " worth the cost". The answer, in hind-sight, is a resounding ABSOLUTELY! 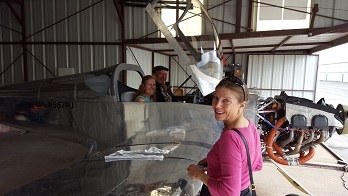 an amazing time, one that will allow us to do this at 200 miles per hour. ourselves how to fly an RV. We can now learn from others, such as yourself. learning curve, so to speak. factor where risk reduction had not been fully implemented, until now. Denver area before then, give a call. 'Til then, keep in touch. Subject: How bout something like this ? 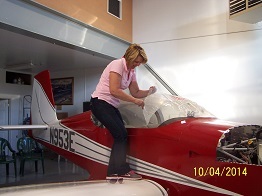 I am much more knowledgeable and a safer pilot after working through the program. Subject: Re: Transition Thank You ! a work trip), but Chris was incredibly flexible working within my schedule. all the things you want in an instructor, especially for transition training. 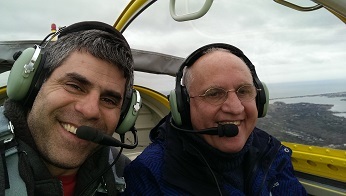 happy to fly with Chris again if the opportunity were to arise. Thanks again for your flexibility in meeting my needs! I hope things went well for your other student, and thanks again for everything! Subject: Re: Transition Training Thank You ! see attached a 'Getting Close' picture. Take care and thanks again. went as expected and almost letter for letter what we trained for. that now that I just spent an hour listening to your voice in my head. and I'd almost do it again just because I enjoyed it so much. 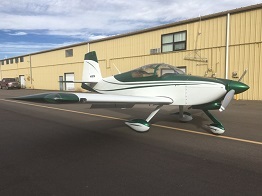 of pictures of my plane, taken shortly before the first flight. money's worth before we ever got into the airplane! And the airplane!!!! I've had in a long time! At no time did I feel as if I were being tested! exhilarating! You put an RV grin on my face! 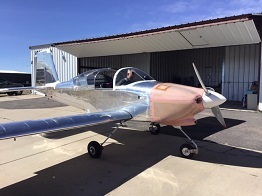 confidence as I approach my first flight in my RV-8A! 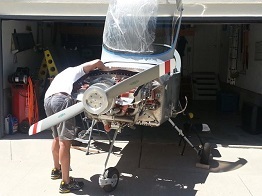 to have to get done on the first few test flights of my aircraft. looking, very comfortable, very responsive and clearly well taken care of. prepare for that mile stone in the build process. the items that had LARGE QUESTION marks after them. every dime and every hour spent. Thanks again Chris. Good luck. Keep the pointy end going forward. Pictures to follow as soon as I figure out how to do that. 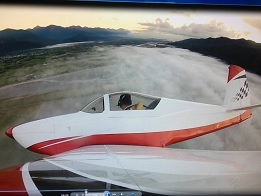 to slow it down to stall at altitude. I certainly appreciate you help last June. 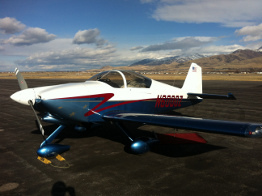 I wanted to thank your for an excellent weekend of training for my RV-8A. was a real treat. It was my first time flying an RV and she's a beauty! 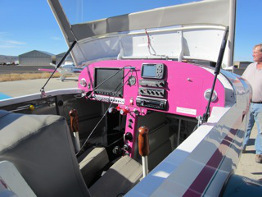 was invaluable, and I would highly recommend it to any new RV pilot. 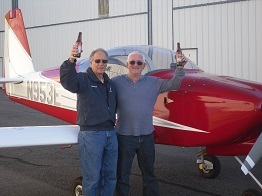 making you a better all around pilot while having a good time doing it! 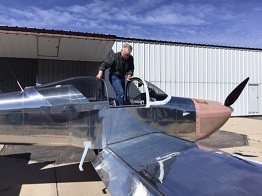 in love with the plane and couldn't have done it without Chris. 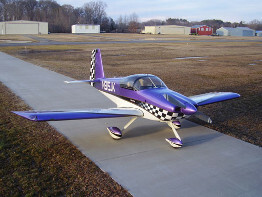 airworthiness certifcate for my plane and haven't had a chance to fly it. The weather was not cooperating, too windy. one piece and use it over and over again, showing the well known "RV Grin". preform just like yours and I can apply the lessons learnt. to your perfect training "course"
Van's recommended folks and decided on Chris Droege out of Nampa, ID. honestly say, I have never had such a good flight instruction experience. 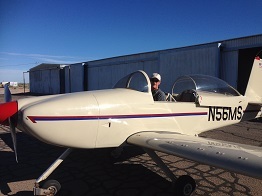 pretty comfortable with the thought of flying my own plane thanks to Chris. It is easy to tell Chris loves his RV, and I know I'll love mine as well. 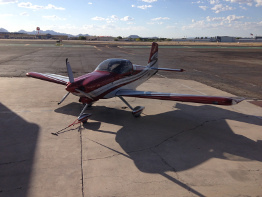 I wish all flight instructors were half as good!" with 30 deg flaps. With no flaps I got buffet then stall at 43 KIAS. 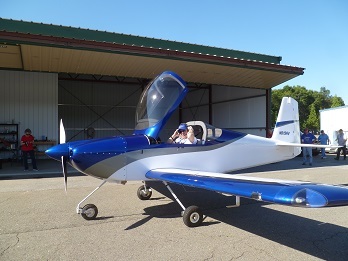 I gave my wife her first flight in the RV8A and she loved it. and I look forward to more experiences in it. First flight went great in my -9A, and your training helped immensely. 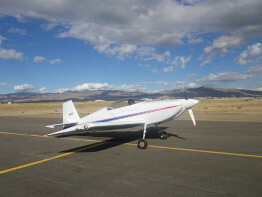 speed a Van's aircraft provides and felt confident during the flight. numbers and did just fine. though after my last flight my CHT are starting to come down. You taught me well for which I thank you very much! 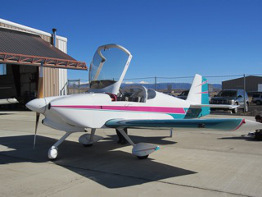 in my newly built RV-7A would be successful. 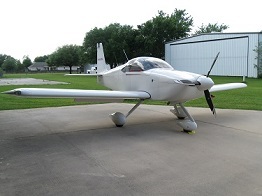 each maneuver is flown smoothly with altitude and speed maintained. 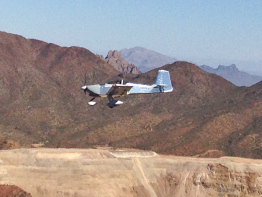 and exciting flying maneuvers that he allowed me to fly. reach over and give a "High Five". as I rated my first landing as perfect! 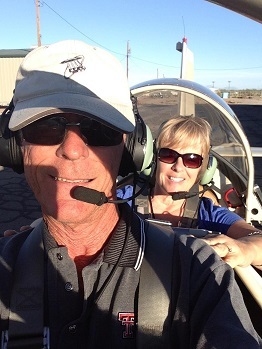 I highly recommend Chris Droege as an RV Training Flight Instructor! used to - it could ave been a mess without proper training. than i see here in Wisconsin. 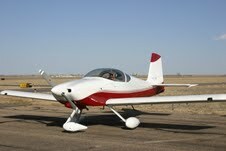 I hope my inspection goes well Thursday and I can fly my own aircraft. Will send some pictures when that happens. Thanks for the great experience and I enjoyed meeting your friends! 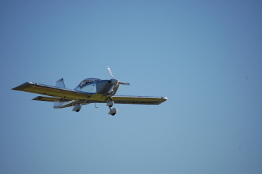 Thanks for your training - it flies just like yours, landing a breeze! 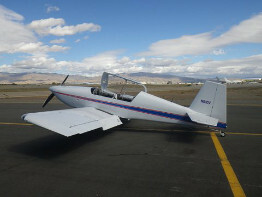 as RV training, it was the best flight training Ive ever had. 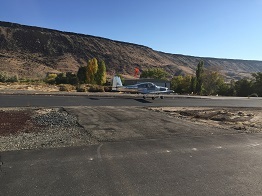 did about flying an RV, and I learned more than enough about flying an RV. 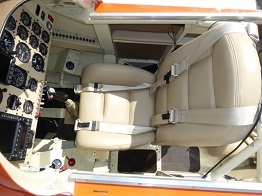 I will go home and sit in my RV now, and will be a safer, better pilot. Spend that, boys, spend it NOW. We will look forward to seeing you in future travels. to the engine mount. Once I relocated the wire the mag ops checks normal. and power settings are working really well so far. up your way. Take care. spectacular I had no trouble keeping eyes out all the time. Power circuit breakers will turn off if it thinks the switch is stuck. your training. My Garmin video indicates I crossed the threshold at 76kts. Just a bit higher than I intended but very workable as it turned out. my test plan. 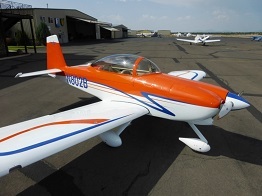 I hope to see you at Oshkosh. It gave alot of confidence in my abillity to have a successful first fight. 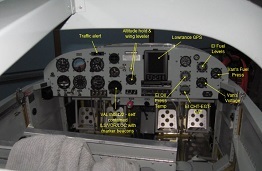 tectnique of flying your aircraft successfully. developing your training program. It was a great learning experience. you taking the time to identify key elements to consider when buying an RV. 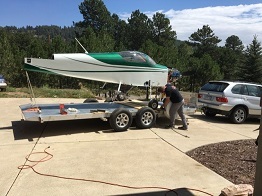 I would recommend you and your program to anyone considering flying RVs. 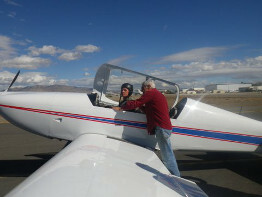 builder, with no RV pilot in command time, to a competent RV pilot. 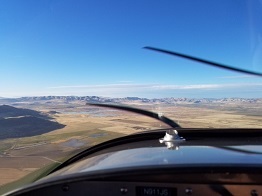 distracted by the myriad of other task that creep into everyday flying. 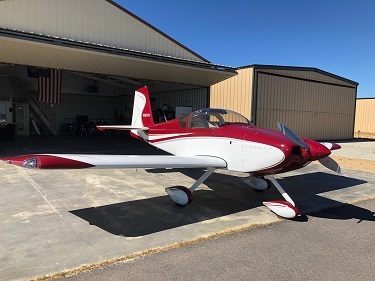 what to expect in all phases of the first 40 hours of test flying. 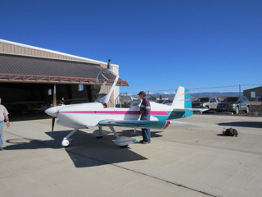 I would recommend transition training for pilots that have not flown an RV. I spent. 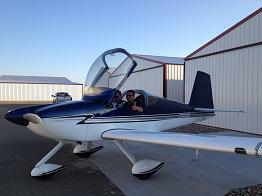 I flew my plane stress free 4 days after I got home. Thanks again for a pleasant training experience. First off, I want to thank Chris for the wonderful training that he provided. the absolutely best pilot that you can be. His ability to mix up the "fun"
it up is that it all intertwined to greatly improve my flying skills. instructors that I have seen. is something that I will never forget. 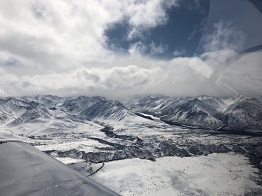 This is why we fly. with that same mantra. Just like we practiced. showed me. Please tell Nan and Piper I said hello. as I am having too much fun! If there is ever anything I can do for you please let me know. 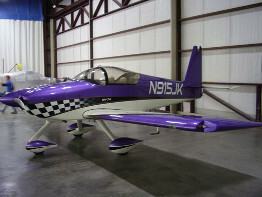 Mike Belle's beautiful RV-8 in Florida. 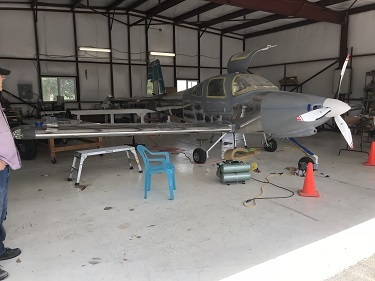 going to fly it Friday afternoon but had some issues with fouled plugs. 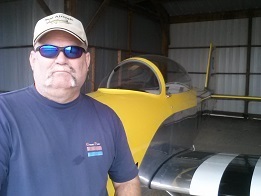 the wind had come up so I put off the first flight until Saturday morning. and they'd call my base because they had a jet landing on a crossing runway. Just what I wanted for my first landing in a new bird, a non-standard approach. 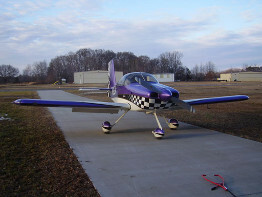 different than the Piper and  Cessna aircraft I have most of my time in. I have 4 flights and about 5 hours on her now. See the RV grin in attached photo. was worth every penny. If you make it down this way skiing give us a call. Otherwise I'll see you at Oshkosh next year. and skills I required with enthusiasm and finesse. Highly recommended! I have first flight scheduled for this Wednesday AM. I have a good feeling Obie Wan! I'll send a pic of the "RV Grin"
.8 some radio transmit issues, at least nothing major. 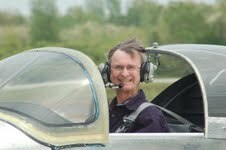 Find enclosed the requisite "RV Grin"
Thanks for making time to help me with crossover training. 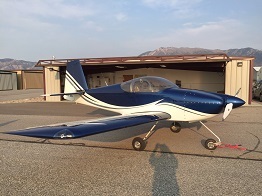 the terrain to teach RV7a flying. also be used with my current Cherokee. Thanks for not only being professional, but very personable and accommodating. PS: Meeting Aaron Rogers from the Green Bay Packers was a bonus! 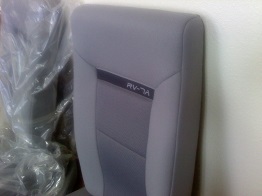 that I will be able to fly my RV safely. If you are even thinking of transition training give Chris a call. You will not regret it!!!" permitting.) The wife is behind me all the way. Pushing! 2 months since I received the training from you and it all came back. pattern entry and landing. Like I said, greased it in for a perfect landing. in my article for our chapter newsletter this month, and it is all good. and I am beating myself up a bit for that. It all just happened so fast! flight sessions, including all the pre and post briefing discussions. currently documenting all of it so that I don't forget it all later on. 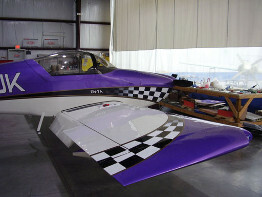 Thanks so much for building and maintaining such a fantastic airplane! for you as well. I will definitely look for you at KOSH next year. You have my cell and email info. 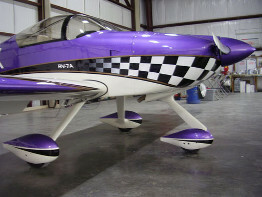 along with some "just fun flying" to see what I thought of the RVs. 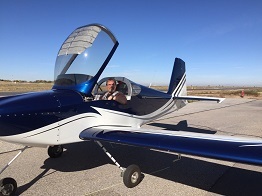 Surprisingly, that was some of the most enjoyable flying I have ever done. better pilot if you do. and some gear leg fairing. Then I need to figure out how to get it painted. Hope to rendezvous with you next Summer. one. 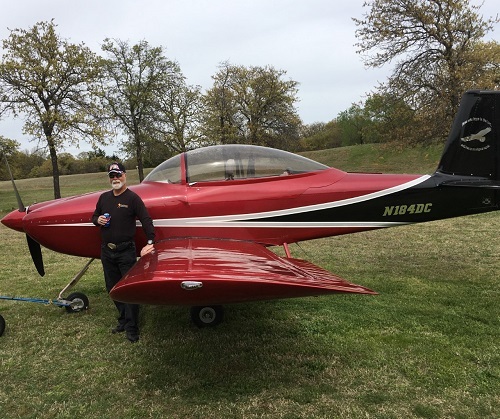 I am so glad that I spent time with Chris in his beautiful RV7A. supplemental materials. And what a great hangar. Chris has my endorsement! Will do on all your requests. 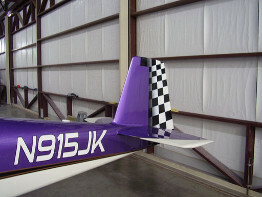 the 10 & 12 I flew most recently and had to figure out on my own. with yours. I didn't do that training because of an insurance requirement. and all my military experience. went through the effort to make it available legally. Van's owes you. Your fee is very fair, too, by the way. All the best to you and Nan. Happy flying. experience to the air with my RV. 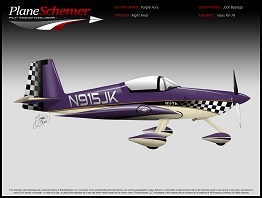 Hope to see you at Oshkosh this year. Best regards to your wife. 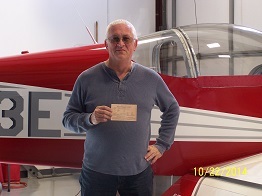 CFI&apos;s.  Thanks again for your help with my RV transition training. You and Van&apos;s made flying fun again! 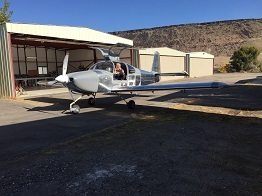 go practice what I learned for my first solo flight in N29TH. and there are lots of areas to see and things to do. Just finished up a couple great days with Chris (PK) Droege. 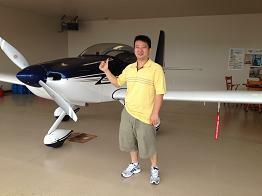 about the RV7a but I learned much about my own flying as well. perfect challenge of newly acquired skills from the day before. 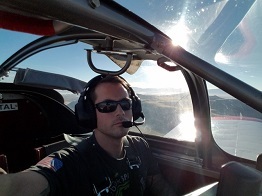 Chris Droege learning to fly an RV, and what a program it was. 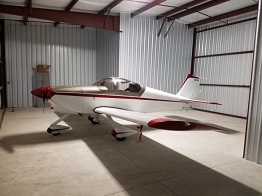 about the plane itself and about the process of certification. He has indeed had experience there. steep turns and landing. Just what I needed. It flew!! Thanks for the help!!! The next 40 hours will be FUN. training. It was FAST (>200) when I went through the engine settings. The tower at Boise was a lot of help too. Thanks again and again for getting me ready!!! that in my opinion was pure nonsense contrary to aviation safety. Chris has a 3.5 hour and 5 hour program. I went with the 5 hour plan. Do yourself a favor, do the same. It is worth every penny. curiosity really... just to show you what I got and where I'm at with it. I would highly recommend Chris Droege for your RV transition training. 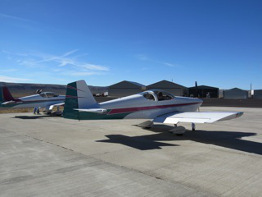 do formation training, with you in your airplane and me in mine! Take care Mr. Droege, sir... oh, I mean Chris! 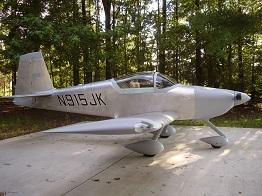 night, I flew it back to M38, home base with the 40 wide, 2500 ft runway. landing was a squeaker. Talk about an RV grin experience!!!" any better for an area to train in. 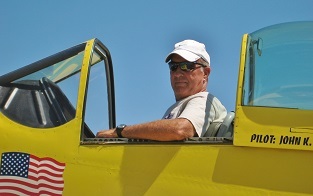 Thanks again, looking forward to seeing you at Oshkosh next year! 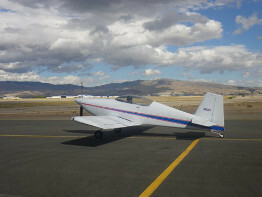 accomplish the training needed by each student, in each model of RV. and totally fun to boot! but Chris said that's not a problem!! He always had patience with me. 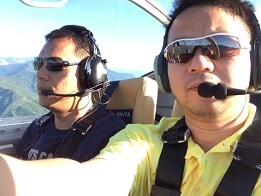 I can say it was an outstanding experience to fly with Chris . Chris to any one in world even your English is good enough. with you. 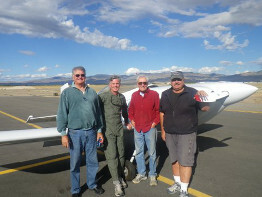 It gave me the confidence and knowledge to fly my own RV safely. 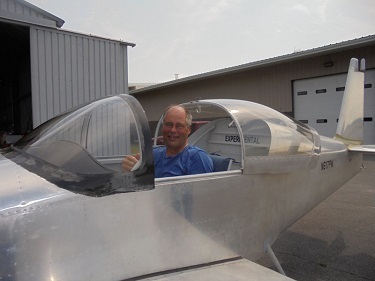 Transition training with Chris in his RV-7A was an outstanding experience. landings. 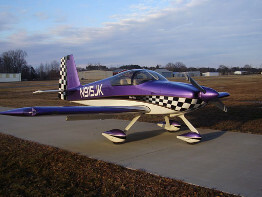 I would recommend Chris to anyone needing RV-7A transition. 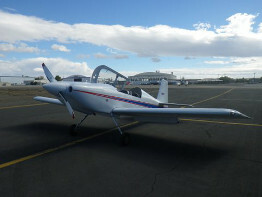 RV9 up and flying, re-registered as VH-FOZ. out the main jet in the carby and see if that makes it better. 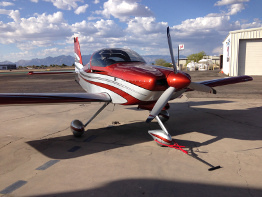 Many thanks for the RV-7A transition training and your hospitality. albeit a slightly slower and more sedate RV..
mention Fun! Fun! Fun! Thank You THANK YOU!!!!!! 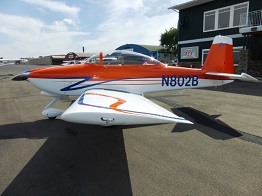 I will attach a couple of photos on my airplane! 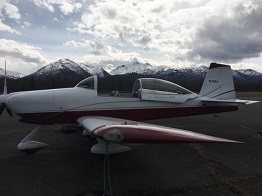 of our flying backgrounds, review of the aircraft logs, and preflight. 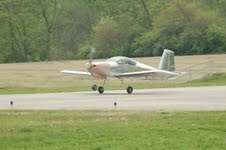 several soft field takeoffs and several simulated engine out landings. visiting. Thanks Chris for the great training. 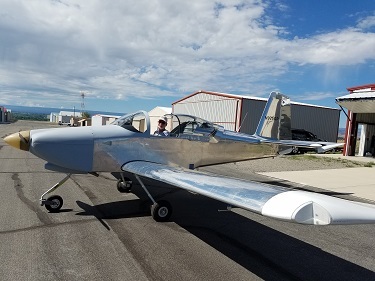 the skies of Eastern Oregon and Western Idaho in his beautiful RV-7A. and friendly manner made the training day a great success. 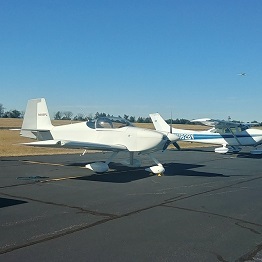 the glideslope and flare techniques you showed me.